As expected, Andy Rollings and Brian Horton do not look very happy about the decision. No-nonsense boss Alan Mullery last night lashed out furiously at Teddy Maybank – and fined the player a week’s wages. Maybank was sent-off in the 10th minute after a bad-tempered skirmish as Brighton rocked to the top of the Second Division. Maybank’s moment of madness ended with Sheffield centre-half John McPhail on the floor and referee Bill Bombroff waving the red card. The opening minutes were stormy and ill-tempered and McPhail Andy Rollings and the Brighton defender was left with a broken nose. With only ten men Brighton looked First Division material with some fine-flowing football but the bad-tempered tactics persisted. 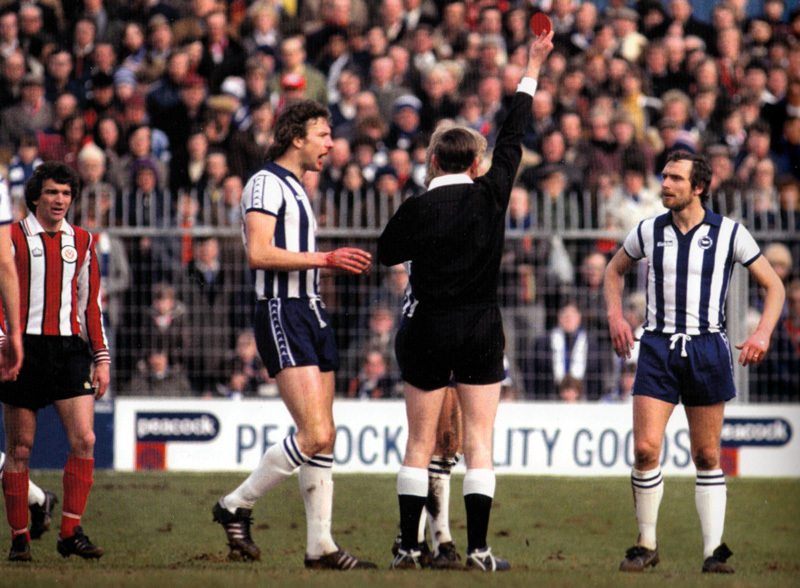 Fifteen minutes after the Maybank incident, Brighton’s Gary Williams and Mike Guy clashed and the Sheffield man promptly followed Maybank into the dressing room. The second half was all action with Brighton dominating the exchanges. Shots by Brighton players rained in from all angles and Sheffield keeper Steven Conroy performed miracles until the 62nd minute. A corner from Williams dropped to the feet of Mark Lawrenson, 12 yards out on the far post, and he drilled home a precision shot through a crowd of players. 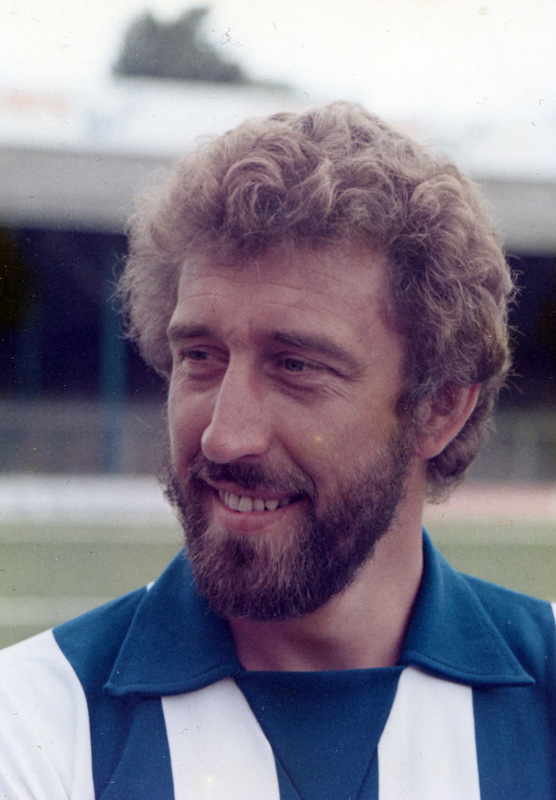 Three minutes from time, winger Gerry Ryan made the points safe for Brighton when he slammed home a shot from ten yards. Obviously, as manager, Alan Mullery was well within his rights to clamp down on a lack of discipline by one of his players. However, it’s not as if the Seagulls boss was a shining example of keeping his cool. Not just as manager, but also in his playing days. After all, he was the first England international to be sent off, when he understandably but unwisely retaliated against Yugoslavia in the European Championships in 1968.